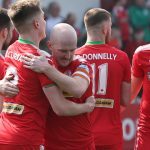 Stephen Garrett wants Cliftonville to maintain their good home form when they host Crusaders in this afternoon’s festive North Belfast Derby. The Reds have won their last eight outings at Solitude – a statistic that Garrett believes can inspire the team going into today’s action. “We’re going into the game after two very good home victories in a row,” he explains. 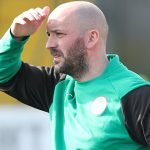 “The 5-1 against Dungannon was more comfortable than the win over Glenavon. We had to go toe to toe with them and, with 20 minutes to go at 2-2, we were thinking could we go on and win it? 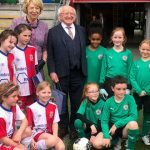 “Thankfully we finished the match strongly and ran out worthy winners. You can read the full Garrett interview in this afternoon’s edition of our Matchday Magazine, which will be on sale at Solitude for £2.50. 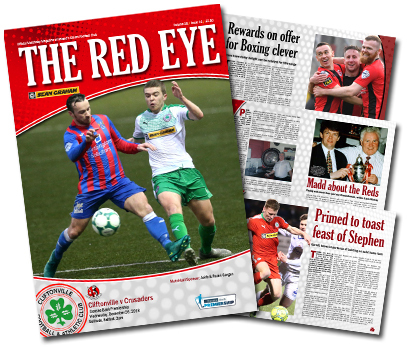 Alongside a heartfelt tribute to our much-missed former groundsman Paddy Madden, The Red Eye’s 16th issue of the campaign reflects on recent Christmas Derby duels and steps 40, 122 and 135 years back down memory lane – plus plenty more besides. Our Matchday Magazine has attained a top-three position in the NI Football Programme Collectors’ annual awards poll for the last seven seasons – assuming the runners-up position on six of those occasions – so, if you’re not a regular reader, why not take a look at what you’ve been missing out on? This is an all-ticket fixture for Cliftonville supporters, however Members Tickets, Season Tickets and Family Tickets remain valid for use. 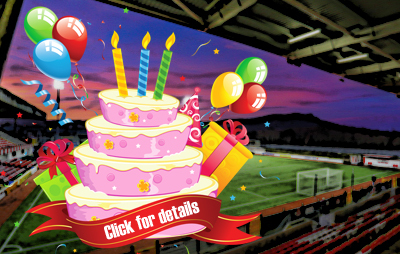 Match Sponsor: To discuss Match Sponsorship opportunities, please contact commercial@cliftonvillefc.net. Matchball Sponsor: Aoife and Ruairi Gargan.